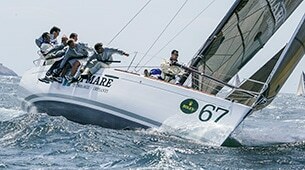 The natural evolution of the More 55: how to downscale the concepts without loosing quality and style. 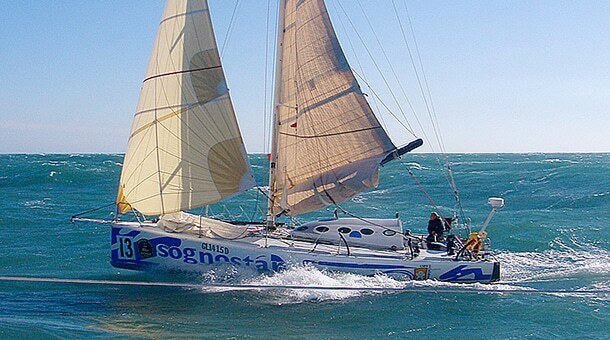 The smaller sister created by the same team, is the entry-level to the More world. 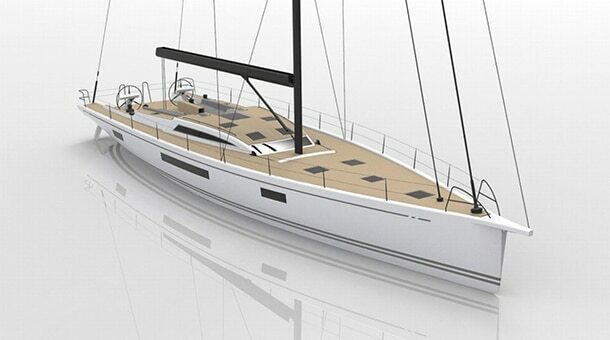 During the presentation of the More 55 in September 2015 we received positive feedback from one side and the request for a smaller sister on the other. 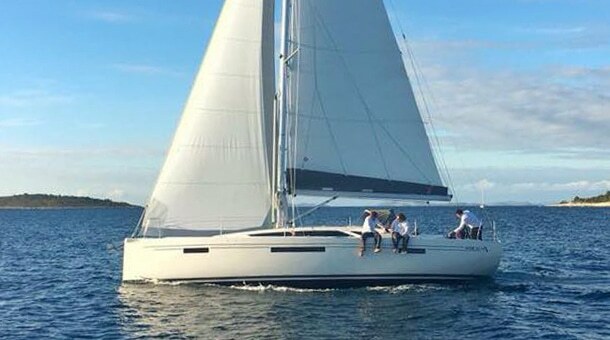 The main reasons were: to establish More as a real developing brand on market, the market itself ready to welcome a new product in this size and lastly the chance of having both More Charter and private clients ready to sign the first contracts. 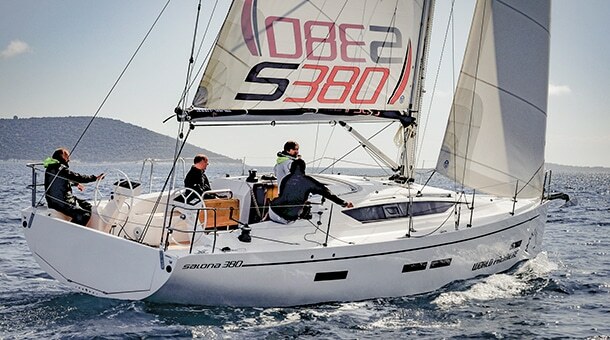 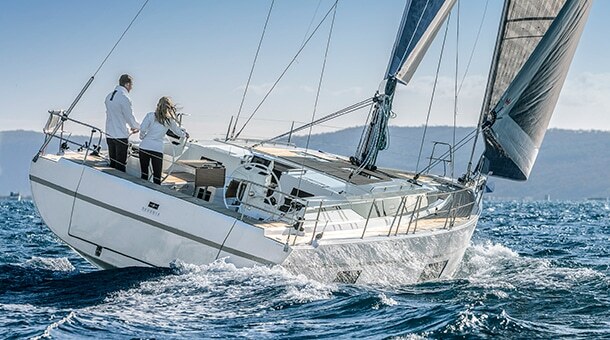 Looking at the new More 40 the family feeling is evident in the exteriors and in main design features which have been much appreciated on the bigger sister such as the modern hull shape, moderate freeboard, big open cockpit and the sleek coachroof. 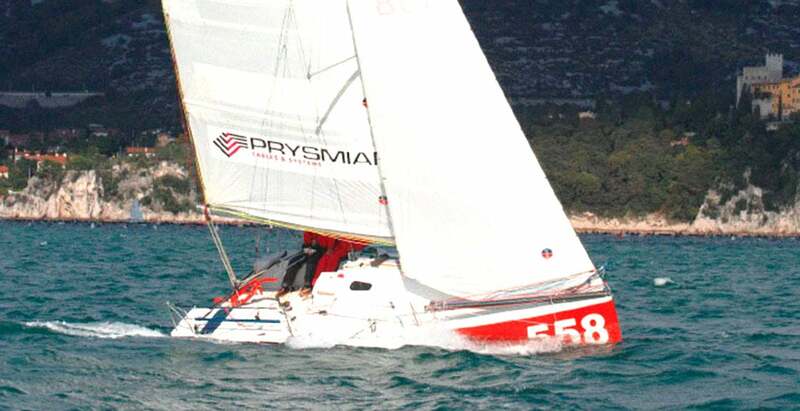 As like as the More 55 the target was a fast and marine boat with suitable internal volumes and layout both for private owners and for charter as well. 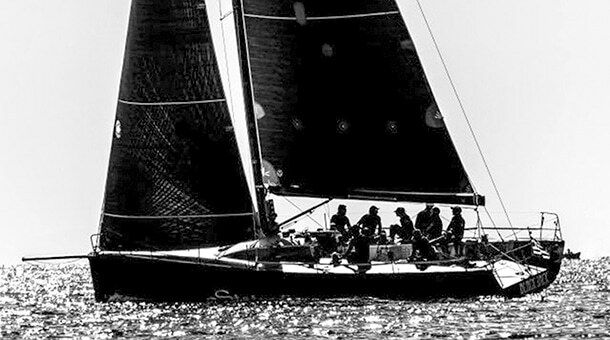 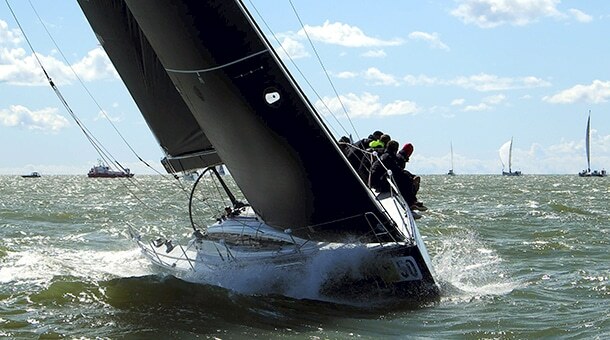 Moreover, we made a deeper study on hull shapes looking at ORC and IRC rating formulas about which our office has a great experience, to allow more “sporty” owners to successfully compete in races. 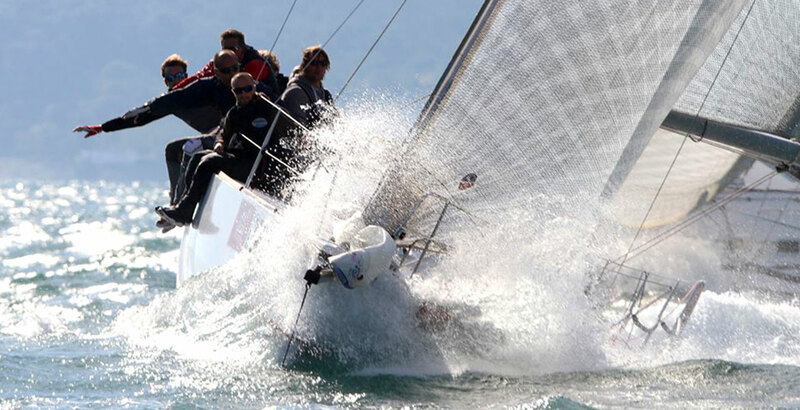 Powerful waterlines aft, together with reduced wetted area, will give optimal performances both in light and strong wind conditions. 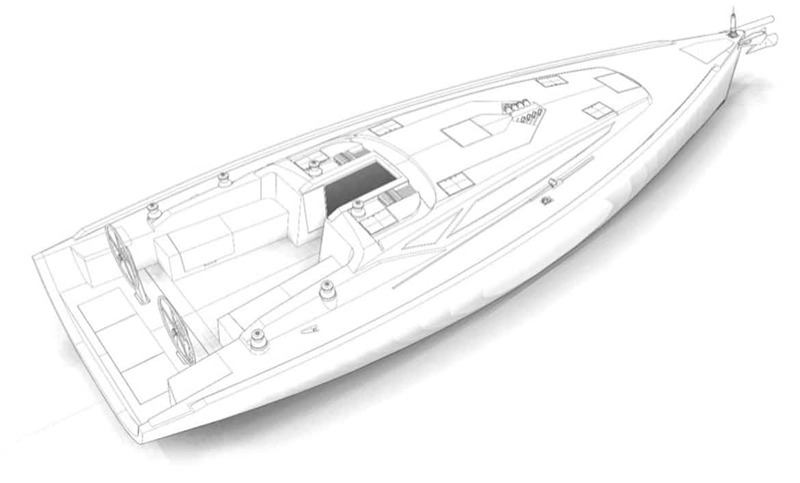 The internal layouts foresee two possibilities, with 2 or 3 cabs respectively with 1 toilet and chart table or 2 toilets. 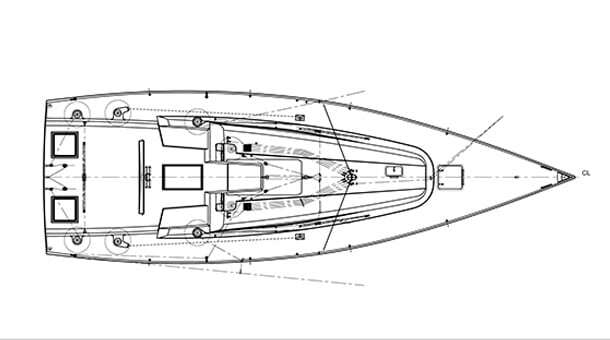 In both cases a classic L shaped kitchen is on the right; the saloon has a big U sofa on starboard and a linear one for resting on starboard; the forward cabin is the classical owners one with king size bed; thanks to hull bow volumes the bed is wide and comfortable, the same for the twin aft cabin. 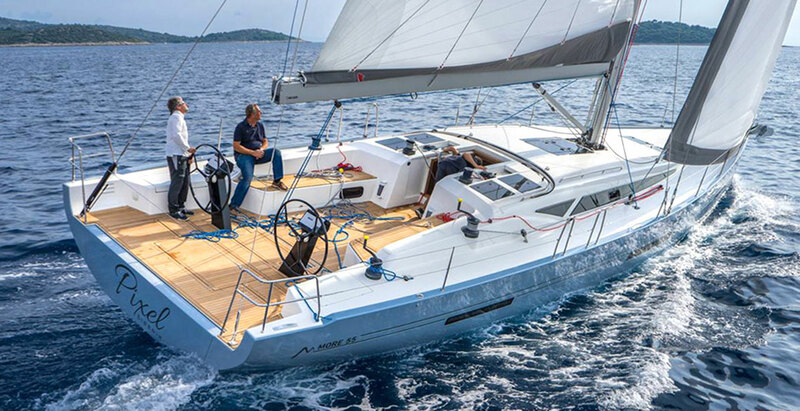 Structurally speaking, hull and deck are made of fibreglass infused with vynilester resin to guarantee design weights and a better laminate quality. 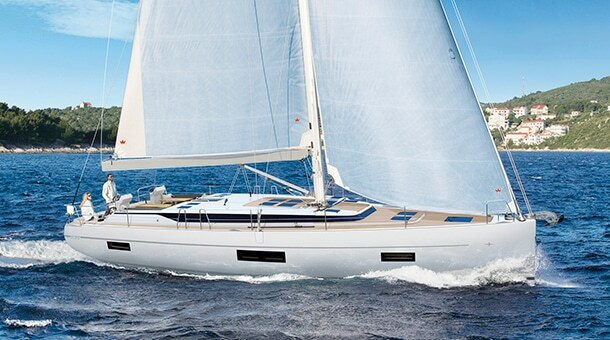 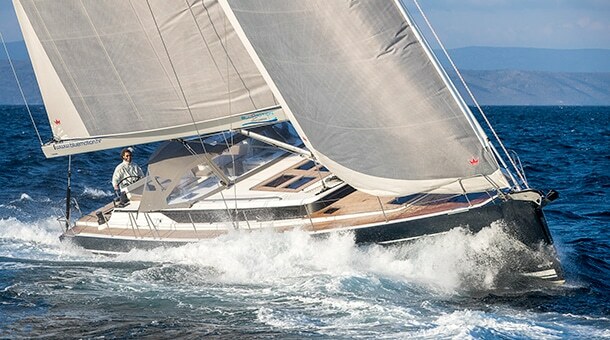 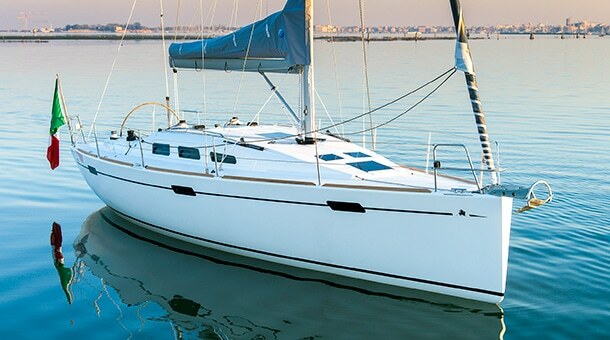 Like we did in the More 55, the structure supporting mast and keel loads is made of stainless steel, bolted to the composite inner liner, the first and last bulkheads are made of GRP sandwich and laminated to the hull to become watertight while the other are in marine plywood with veneer sheeting. 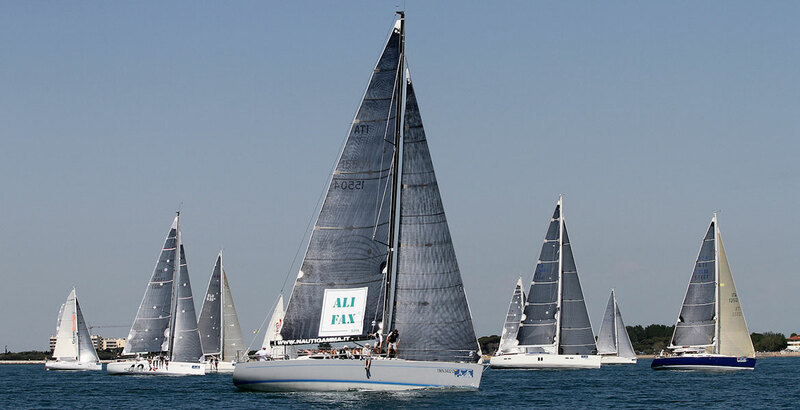 The sailplan is a fractional 9/10 rig with possibility of masthead or fractional spinnaker/gennaker; non-overlapping jib with high aspect ratio gives power upwind in light conditions. 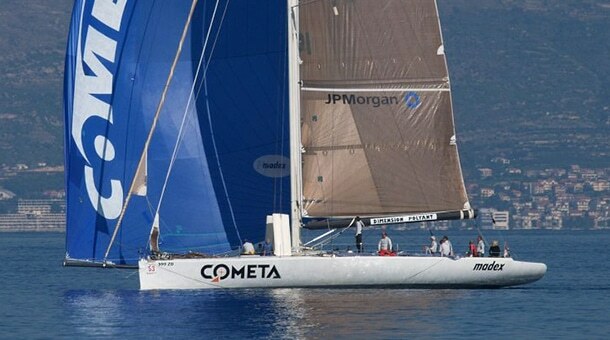 A carbon mast is foreseen as option. 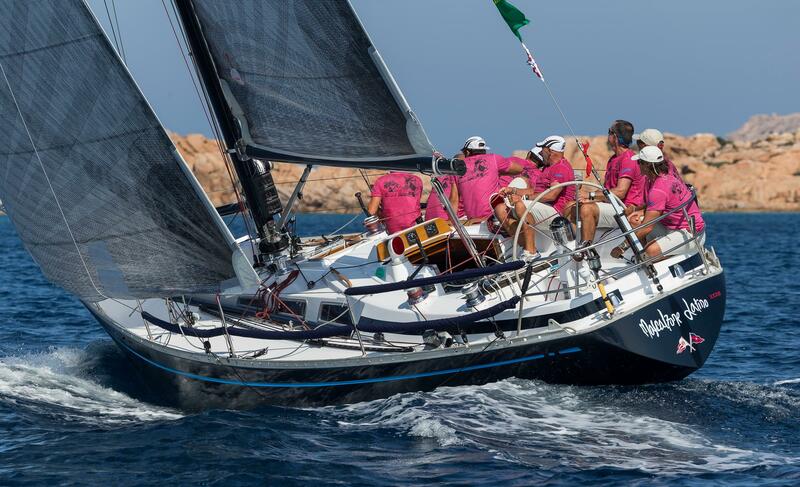 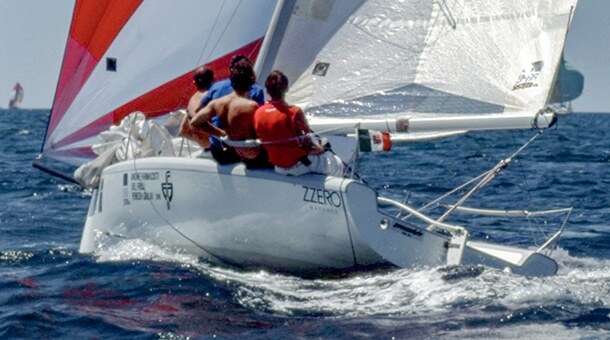 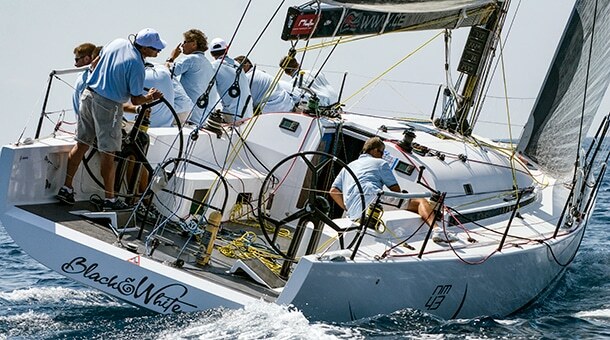 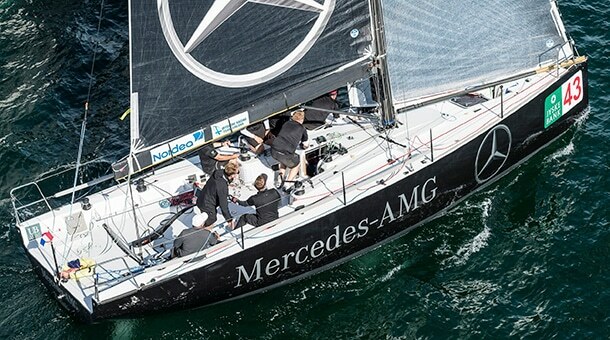 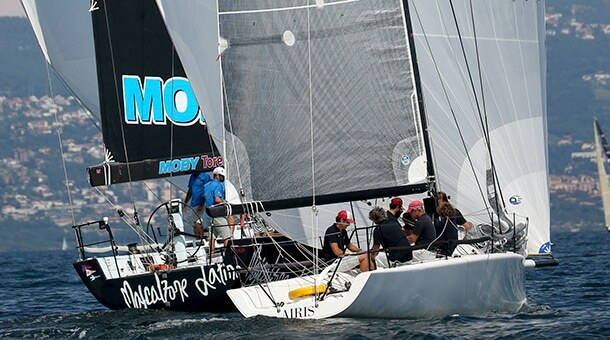 Two rig options are available with inboard or outboard shrouds chainplates: the first one is not a return to the past, on the contrary instead, it promotes the use of modern Code 0 sails even upwind. 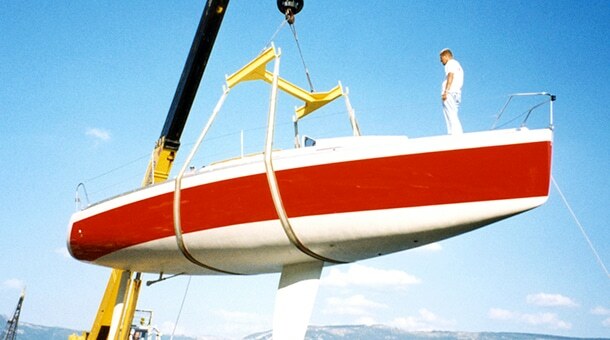 An innovative system of retractable bowsprit allows to have it completely hidden in the boat, but without the unaesthetic sprit casing protruding from one side of the boat. 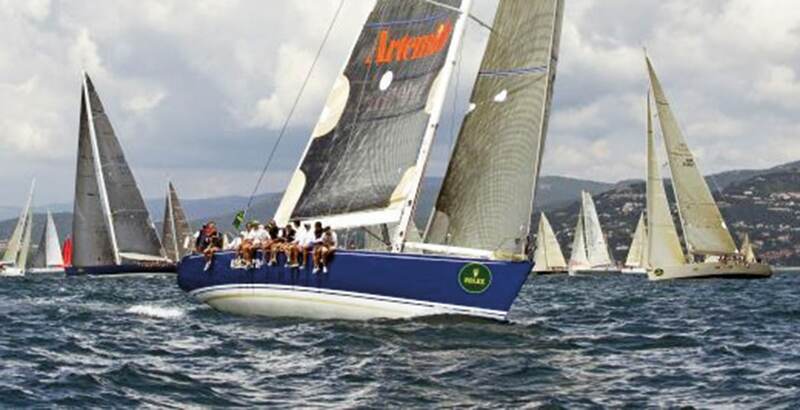 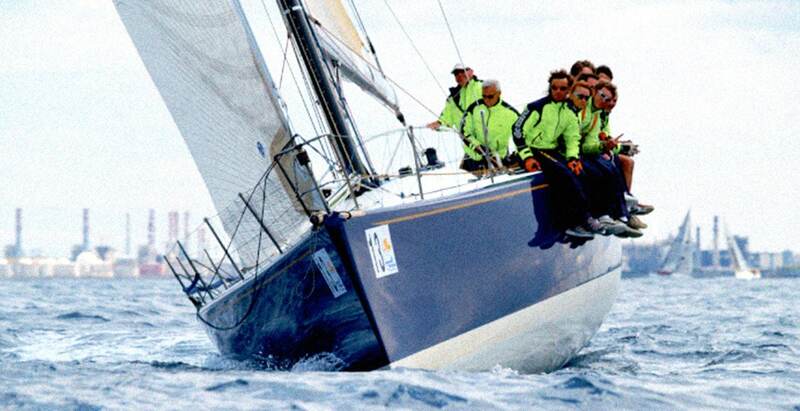 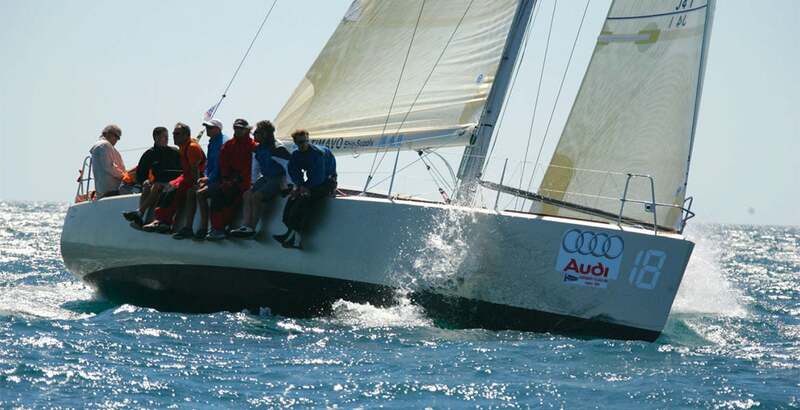 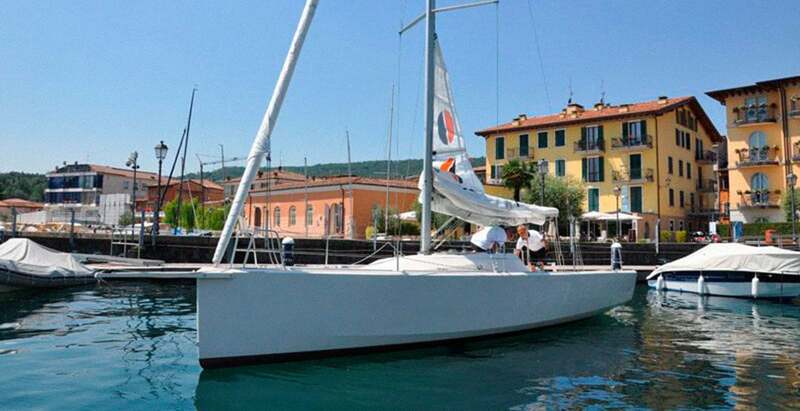 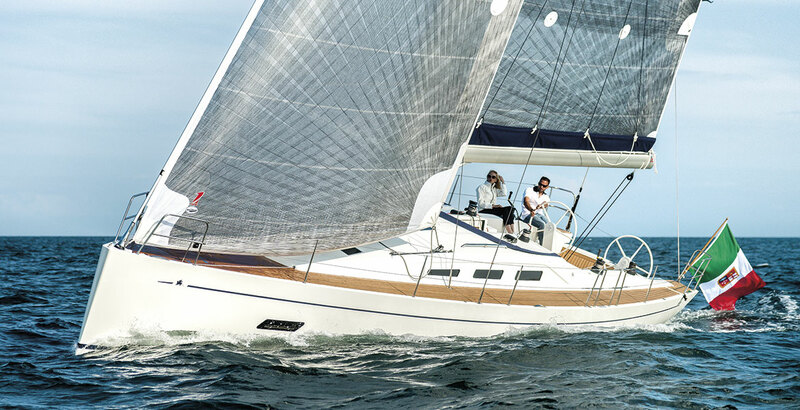 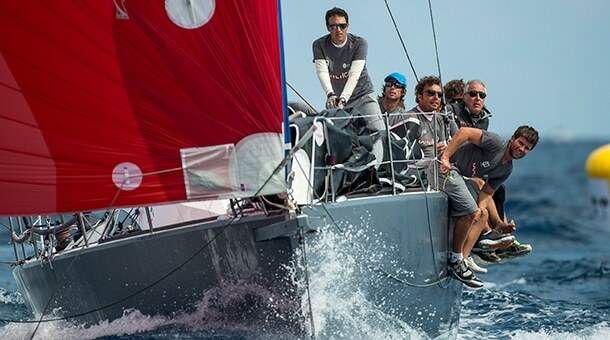 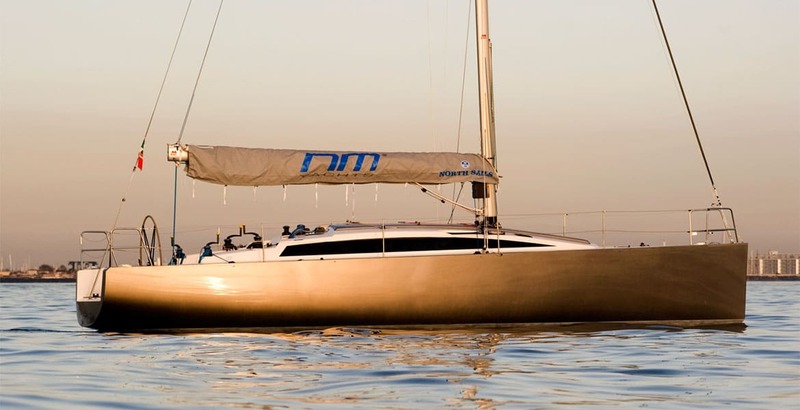 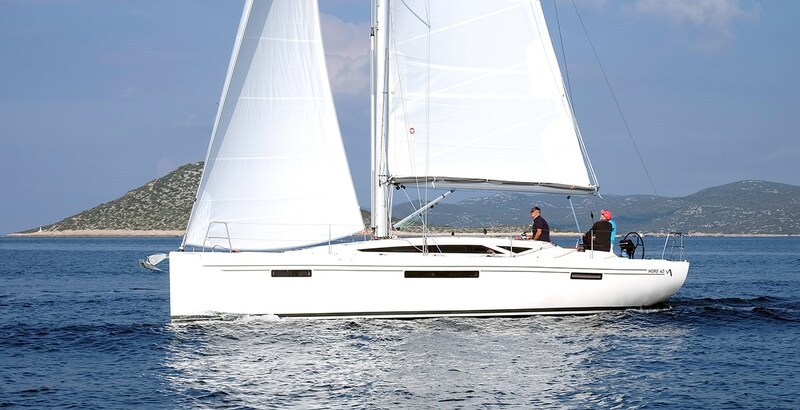 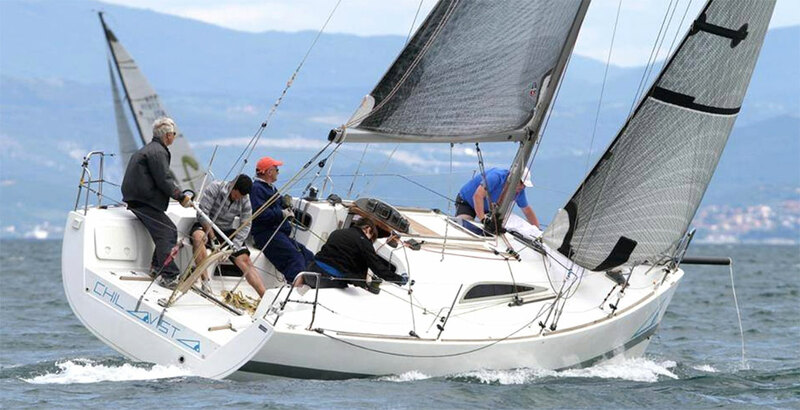 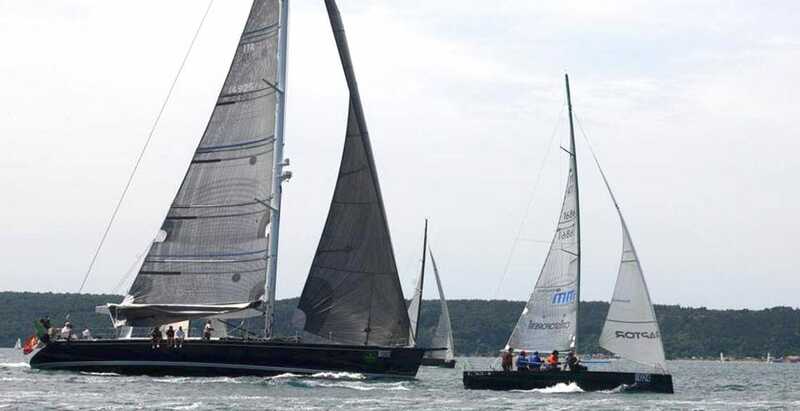 A 2.20 m draft T keel is the standard option for performance cruisers or racing clients but also a shallower keel will be available; keel is a monolithic lead casting for fin and bulb, with a structural empty steel box inside. 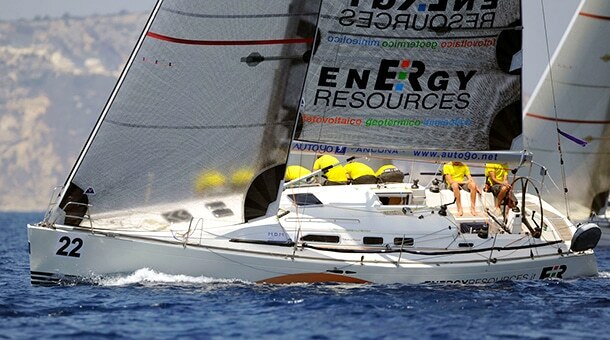 In the end, the narrow rudder derives from our racing designs. 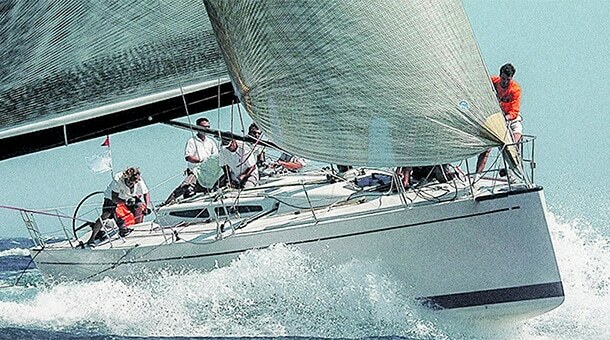 The sailplan is fractional 9/10 rig with possibility of masthead or fractional spinnaker/gennaker; non overlapping jib with high aspect ratio gives power upwind in light conditions. 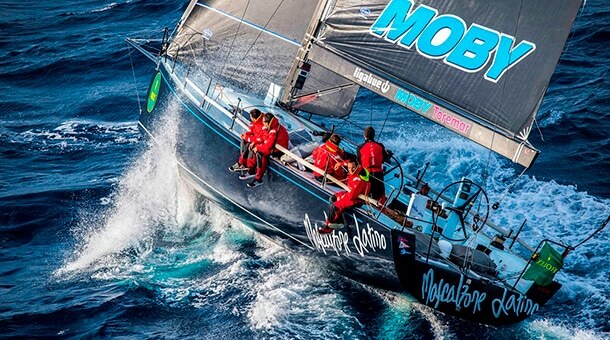 A carbon mast is foreseen as option. 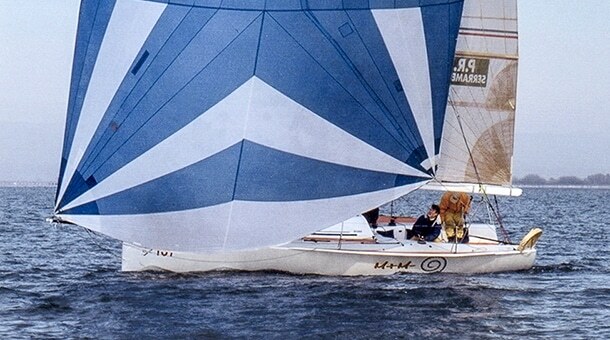 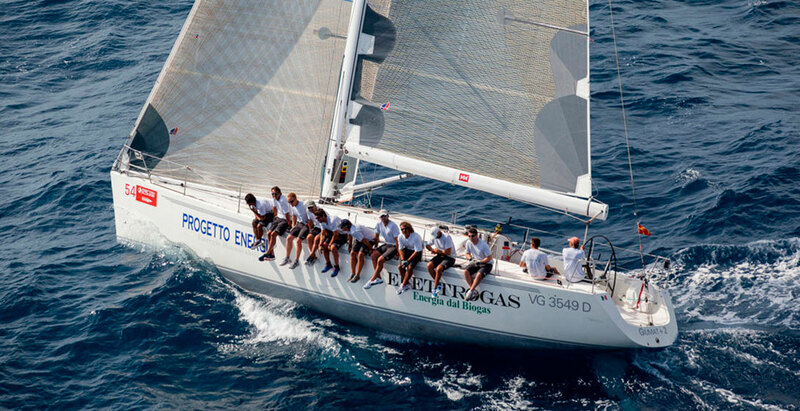 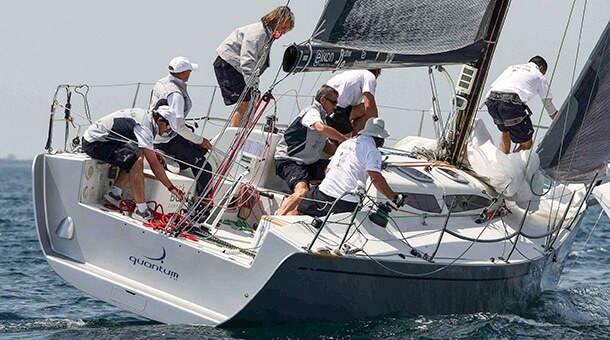 Two rig options are available with inboard or outboard shrouds chainplates: the first one is not a return to the past, on the contrary instead, it promotes the use of modern Code 0 sails even upwind. 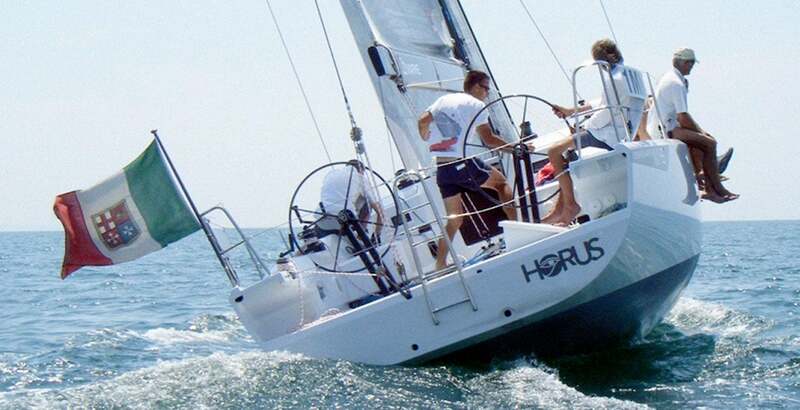 An innovative system of retractable bowsprit allows to have it completely hidden in the boat, but without the unaesthetic sprit casing protruding from one side of the boat. 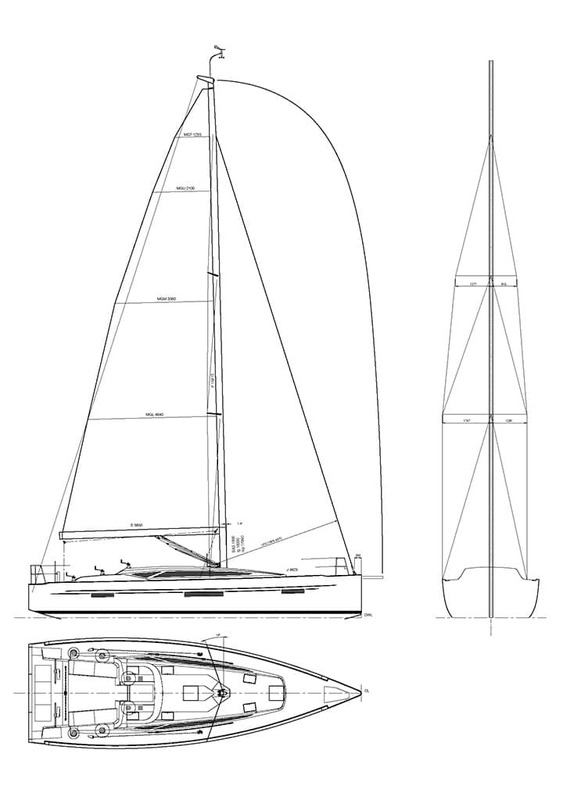 A 2.20 m draft T keel is the standard option for performance cruisers or racing clients but also a shallower keel will be available; keel is a monolithic lead casting for fin and bulb, with a structural empty steel box inside. 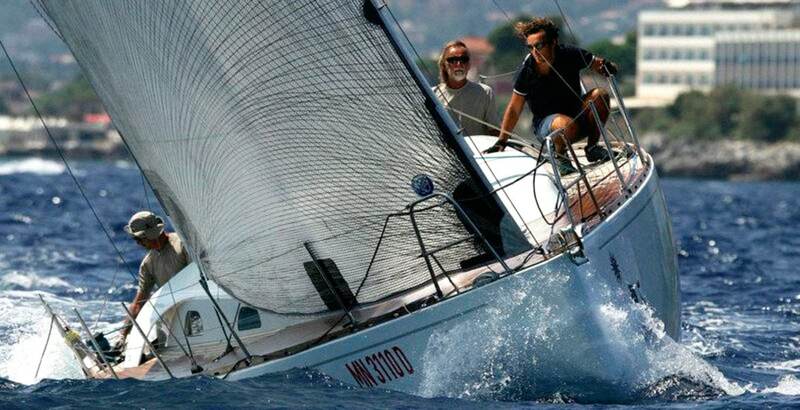 In the end, the narrow rudder derives from our racing designs.